Barn owl Tyto alba, photographed by Luc Viatour. 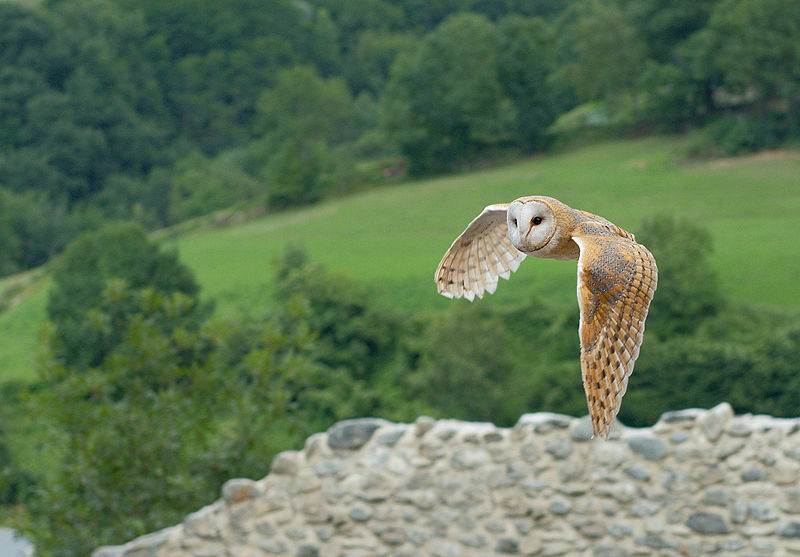 Tyto is a cosmopolitan genus containing the barn owls and grass owls. Tyto species have a heart-shaped facial disc and legs longer than their tail, with feathers down to the feet, short thigh feathers and a serrated comb on the claw of the middle toe (Austin 1961). The barn owl Tyto alba has been treated as one of the most widespread of all birds, with populations on all continents except Antarctica, but some classifications divide barn owls between a number of species, such as the Australian barn owl Tyto delicatula and the American barn owl T. furcata. The name 'barn owl' derives from their common usage of barns as nesting sites. The grass owls include the African grass owl Tyto capensis and the eastern grass owl T. longimembris; these are long-legged species adapted for hunting in high grasslands. [G45] Glauert, L. 1945. A Western Australian grass owl. Emu 44: 229–230.